A quintessential solution to most skin inflammations, cucumber has been used to calm and soothe skin for ages. Crafted using skin-friendly natural ingredients such as cucumber, French green clay and aloe vera, Sugar Plum Soap Co. Cucumber Bar is all you need to keep your skin flawless. 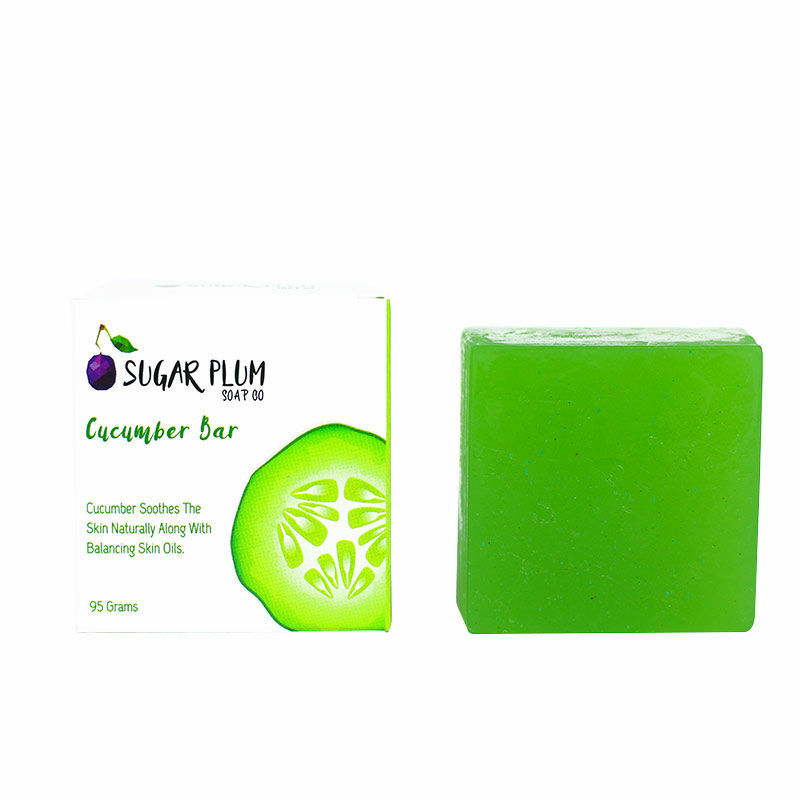 A natural emollient and coolant, cucumber in this soap relaxes and rejuvenates your senses and will keep you fresh and lively all day long. This soap acts as a natural skin cleanser and astringent and keeps dead skin cells, dirt and impurities away. It helps control the oil on your skin, while shrinking the pores and tightening the skin.